Jeff focuses on the disposition and acquisition of Single-Tenant Net-Leased investment properties nationwide. He specializes in convenience stores and utilizes his insight of real estate investment knowledge to create value for his clients in combination with his background in economics and fundamental understanding of financial markets. His unrelenting work ethic and level of professionalism ensure lasting relationships with his clientele that exceeds their expectations through improving their investment position. 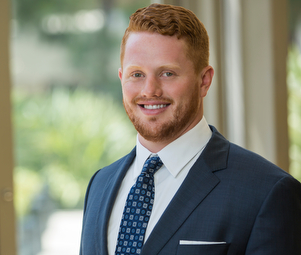 Prior to joining Matthews Retail Advisors Jeff worked for West Coast Capital Partners assisting WCCP in investments in real estate and real estate-secured notes in Nevada, Arizona, Southern California, and other areas of the Western United States. Jeff participated in all facets of investments with focus on repositioning, restructuring and recapitalizing properties to maximize investment potential on distressed commercial real estate assets and growth markets which generated superior risk-adjusted returns for investors.